In 1924 the Dada and Surrealist artist Francis Picabia wrote a scenario and designed the sets and costumes for a two-act "instantaneist ballet" entitled Relâche (Cancelled), with music by Erik Satie. Picabia planned for the ballet to have an "entr'acte cinématographique," a film shown between the acts. 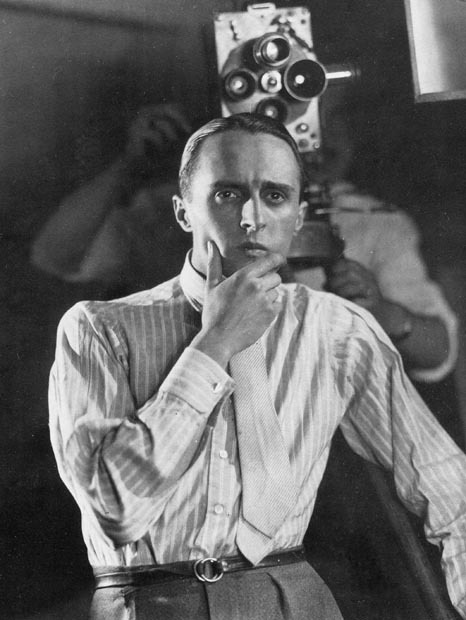 He outlined a series of situations and asked a little-known young filmmaker, René Clair, to direct. The previous year Clair had directed his first feature film, Paris qui dort (Paris Asleep), in which a group of adventurers wander through a Paris where time has been frozen by a mad scientist's immobility ray. 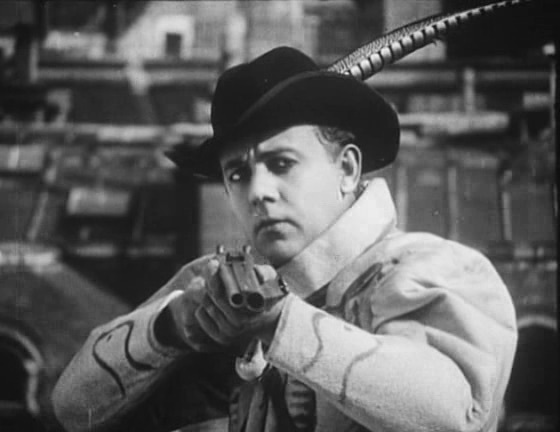 The film's theme and visuals may have appealed to Picabia and prompted his invitation to collaborate. 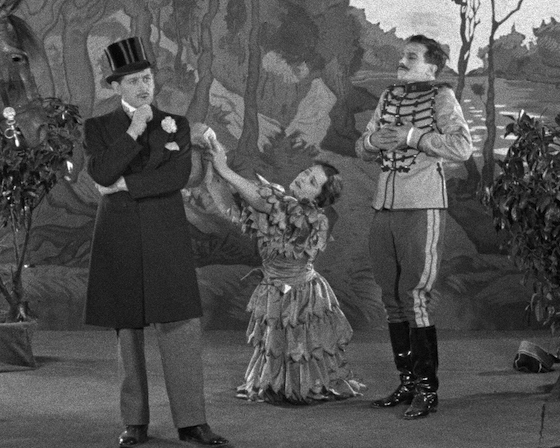 Entr'acte (Intermission, 1924) consists of two sections: a brief introduction shown before the ballet featuring Satie and Picabia firing a cannon at the camera/audience, and a longer section that was shown between the acts. The film features various kinds of photographic effects (double exposures, moving in and out of focus, stop-motion animation, rapid pans and zooms, positioning the camera at odd angles, slow and reverse motion, etc.). A bearded ballerina doing leaps and pirouettes is shot from below a glass floor; matches crawl onto a man's scalp and burst into flame; Marcel Duchamp and Man Ray play chess on a rooftop until they are washed away by a torrent; a paper boat sails over the roofs of Paris as though they are storm-tossed waves. A hunter (Clair himself?) shoots an egg, releasing a bird, and is in turn shot by Picabia and plummets from a roof. A funeral procession leaves a church, bounding in slow motion behind a hearse pulled by a camel. 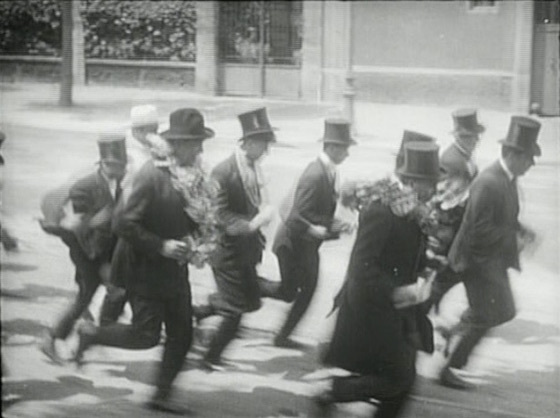 The hearse slips the harness and rolls through the streets; as it picks up speed, the members of the procession jog, then sprint after it to try to keep up. Finally, the coffin falls out of the careening hearse; the hunter climbs out, dressed as a magician. Pointing a wand at each member of the procession, he makes them disappear. He waves the wand over the audience, and then turns it on himself. As he fades from view, "Fin" comes onscreen, and then a man (Picabia?) bursts through the screen. He lands face down on a sidewalk; when he is kicked he flies back through the screen in reverse motion. 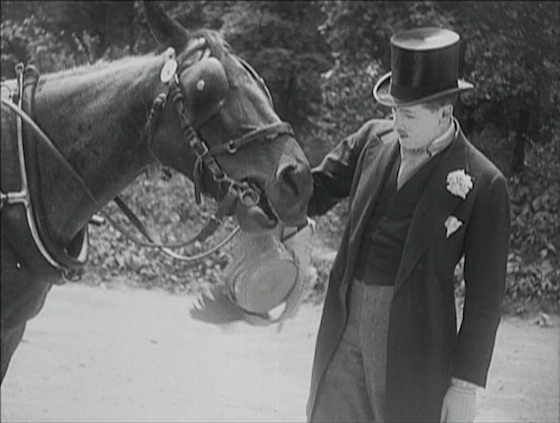 In the opening minutes of Clair's film, a wandering horse munches on a straw hat it finds hanging on a bush in a park. Concealed by the shrubbery is a married woman (Olga Chekhova) having a rendezvous with her lover, a hotheaded Hussar (Vital Geymond). With her hat half-eaten, the woman can't return home to her husband without uncomfortable questions being raised. So the adulterous couple follow the owner of the horse to his home and demand that he replace the hat or face the wrath of the Hussar. So begins a day in which the horse's owner, Fadinard (Albert Prejean), will be caught in a cascading series of misadventures, not least because it is his wedding day. His unsuspecting bride Helène (Maryse Maia) is increasingly bewildered by his distracted air and frequent disappearances as he races against time to find a substitute hat, while Helène's irascible father (Yvonneck) thinks that Fadinard is getting cold feet. This must have seemed like time-worn material even in 1928. Clair does enliven the proceedings by incorporating a bit (though not enough) of the surrealistic visual sensibility of Entr'acte: there's a fantasy/nightmare sequence in which Fadinard imagines the slow-motion defenestration of his chairs, and the mass abandonment of the house by the rest of his furniture. There's also a sequence in which, as Fadinard tells the cuckolded husband (Jim Gerald) the story of the ruined hat, the scenes are portrayed as though melodramatically enacted on a theater stage. But most of the action is shot by a fixed camera that, as Iris Barry has suggested, may have been intended to suggest the style of early movies (the action is set in 1895, the year of the Lumiere Brothers' first film screening). Or perhaps the fixed frame is intended to evoke the experience of sitting in a theater watching the play. Either way, the visually static direction can feel at odds with the comic action. In translating the dialogue-driven play into a silent film Clair devised a series of running gags featuring recalcitrant objects—which include a myrtle plant, a clip-on tie that won't stay clipped, a blocked ear trumpet, an uncomfortable new pair of shoes, a missing glove, and a stray hairpin—that cause their owners recurring problems over the course of the day. But for this viewer, at least, the repeated jokes eventually wore out their welcome. At 105 minutes the film lacks the relentless pace that farce demands. Instead of irresistible laughter, the movie evokes the occasional rueful smile. Spoiler alert: by the end of the film the straying wife has received a replacement for her half-eaten hat (in a way that we'd predicted in the first moments of the film), the potted myrtle has finally made its way into the home of the newlyweds, the ear trumpet has been unblocked, the bride's father has exchanged his tight new shoes for the cuckold's comfortable broken-in pair (a lewd joke? ), and the missing glove has been found (the donning of gloves is also suggestive). . .
. . .but what about the hairpin? The bride's cousin inadvertently drops it down the back of Helène's wedding gown as she's helping her dress, and it keeps poking her throughout the day. Somehow, though, Clair forgot to wind up this running joke at the end of the film. It would have made the perfect ending: when Fadinard and Helène are finally alone and able to embrace on their wedding night, Helène should have flinched as the hairpin made its presence known once more. The placing of the pin on the nightstand would have been the perfect image of the happy resolution of all the day's distresses. Clair simply missed the opportunity. Although Clair disapproved of movie adaptations of books and plays, after the success of Un chapeau de paille d'Italie his next film (and last silent feature) would be an adaptation of another Labiche comedy, Les Deux timides (Two Timid Souls, 1928). But it was with his first sound films that he broke through to international success, and they will be the subject of part two of this series. Steven Higgins, Still Moving: The Film and Media Collections of The Museum of Modern Art, Museum of Modern Art, 2006, p. 104.